So the sizzling sunshine is taking a wee break in Glasgow. But there’s no reason to feel glum or cold for that matter. 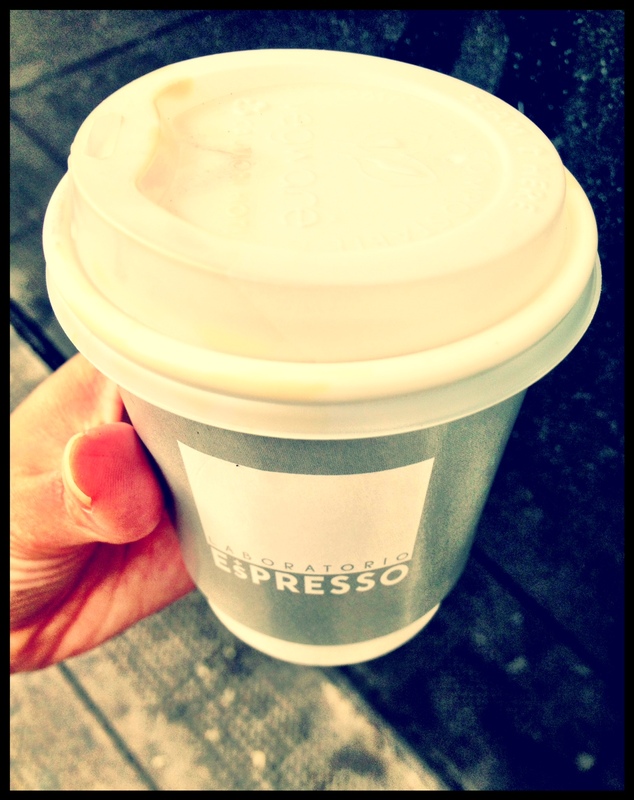 Heat up your sometimes weather challenged summer with something hot and uplifting from Laboratorio EsPresso. Tucked away on West Nile Street, it offers a spectacular cuppa – rain or shine. Hungry? They do nibbles and lunch too. And when the sunshine returns (it will), enjoy one of their cold brews outside in their Al Fresco seating area. Refreshing espresso perfectly chilled over ice with a kick – a coffee connoisseur’s dream. 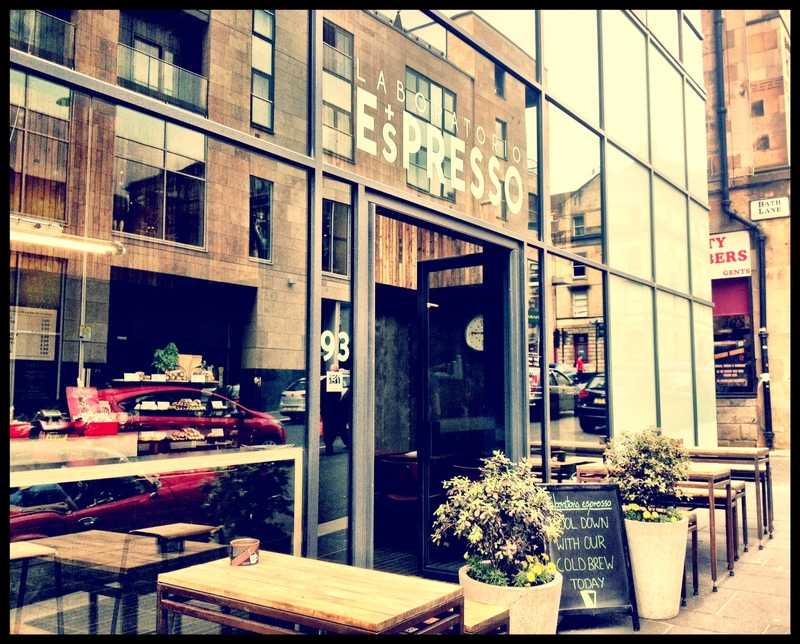 This entry was posted in Coffee and tagged #inglasgow, About a city - Glasgow, Coffee in Glasgow, what to do in Glasgow. Bookmark the permalink. We were up in Glasgow last weekend for our daughter’s graduation and Kicked off with a coffee in the Laboratorio Espresso. Excellent coffee and delightful owners.